Citrix Virtual Apps (formerly Citrix XenApp) is a popular solution for virtual application delivery which provides secure and remote access to Windows applications and desktops from any device. The biggest challenge for an admin is to exactly pinpoint the source of slowness in an application running on a Citrix Virtual Apps server. Applications Manager helps in quickly drilling down to the root cause of a problem in Virtual Apps, resolve slowness in applications, providing a better user experience. 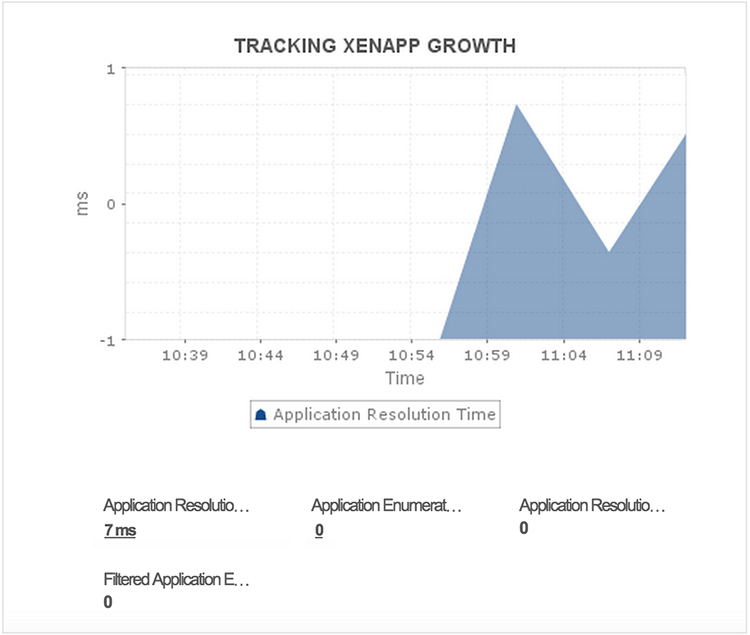 View critical performance metrics of the Virtual Apps server, by monitoring the number of failed database connections, busy XML threads and also by tracking growth of Virtual Apps servers, license servers and web interface counters. Track transaction time, number of requests processed and determine the load on XML brokers to determine any bottlenecks in processing transactions like obtaining user information, validating user credentials, changing a password, requesting a ticket, etc. for quicker troubleshooting, before it impacts end users. Determine whether Citrix Virtual Apps services ( Configuration Service, StoreFront, Licensing, etc.) are running properly and monitor their state to detect any outages. Configure thresholds to receive alerts, if the health of the service is down. In virtual environments, tracking user profiles is critical to ensure users get a consistent experience every time they log in, to provide a seamless user experience. Monitor important parameters in the Citrix EUEM service which include time taken for authenticating a user and application load on servers to determine any possible delay. 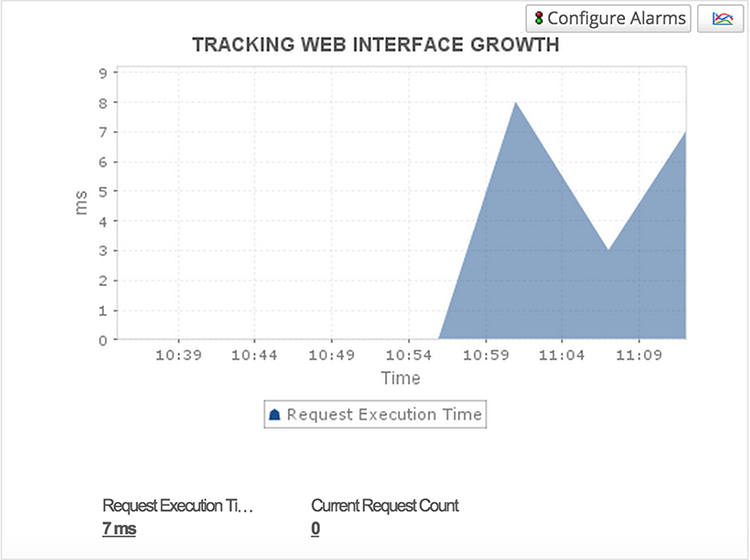 Detect any latency between the client and the Virtual Apps Server, while interacting with an application hosted in a session on a Virtual Apps server, by monitoring the roundtrip time, available bandwidth and determine any network delay in transmitting the data between the client and server. Manage logs across servers and application to diagnose issues like server overload, invalid user login, unavailability of resources, connections rejected, invalid session configuration files and more. 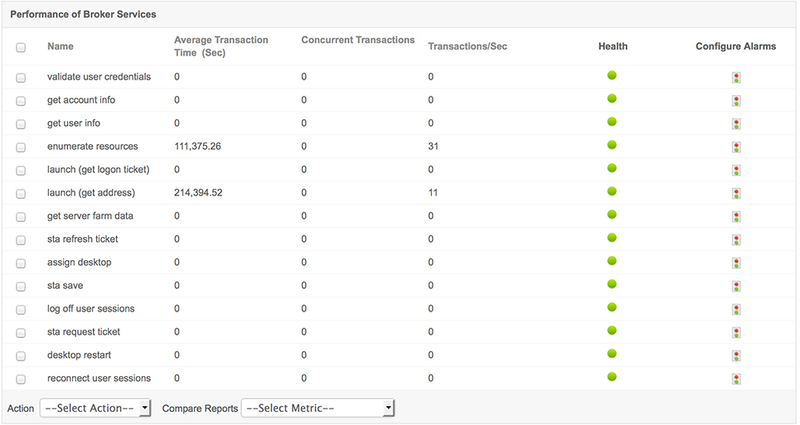 View important metrics to automate incident detection, and monitor the availability and functionality of your Virtual Apps environment to avoid any unplanned downtime.